This week’s cool idea is Grandparent/Grandchild Camp at Camp Phillip in Wisconsin, a half week day camp for grades K and up. Adults and children camp in the campground with their equipment. Grandparents and grandchildren join the staff who provide programs that encourage fellowship and interaction. Two lunches are included for the children and grandparents. There are optional activities for adults during the day. The Bookend Blog series got its name from our contributing writers, youth and older adults, both of whom we refer to as the "bookends" that hold our civil society together. Bookend bloggers comment on current events and offer generational perspectives. Interested in submitting a Bookend Blog for the Together Blog? We’re always looking for quality posts on intergenerational issues and would be happy to consider yours. Check out the guidelines below and contact Alan King if you have any questions. Preferably, we would like those interested in writing a Bookend Blog to already have a partner from another generation selected. When you contact Alan, please let us know your topic and why it's intergenerational. Your content must be original and cannot be plagiarized. Articles must have a title and should be 500-700 words in length. If your article is more than 600 words, we may choose to shorten your article or create a series (i.e., multi-part post). Bold Important Points: Online readers tend to skim through pieces, so web writers often put key points in bold type. This will help readers to easily identify your main points. Contains links to other sites: Take advantage of the ability to link to other sites, documents, resources, etc. Drive traffic to other sources for more information on your blogging topic. Articles are scheduled based on openings on the Together Blog editorial calendar. Dates are subject to change. You can submit a post at any time and, if we decide to use it, we’ll let you know when it will be published. Note: we’ll tell you if we are unable to use your article. *Articles will be edited for grammar and clarity. We reserve the right to make changes to the content and title.” That said, your message will be conveyed as you intend it. It is important to us that your voice comes through your post (and not that of the blog owner). · Be casual. Most blog readers don't generally respond to a formal, authoritative tone. Try to write in a tone that's natural, casual, and almost conversational. Imagine that you're writing for a guy who's sitting in his cubicle during his lunch break. · Remember, it's a conversation. Keep the discussion open. You don't have to tie up all the loose ends and answer all questions by the end of a blog post. In fact, it's better to leave some questions asked and unanswered. Treat the first few paragraphs of your post as an invitation to hear your unique view; use the last couple of paragraphs to invite them into the conversation. · Encourage comments from readers. Ask questions at the end of your post, when possible. This week’s cool idea is Silver Tunes for Golden Memories, a community service project where twin brothers, Daniel and Gabriel Vasquez, visit different adult day facilities, nursing homes and assisted living centers to play traditional music for older adults. The performance includes traditional Latin songs, such as Siboney and Quizas Quizas Quizas, as well as traditional American songs, such as Frank Sinatra’s My Way. These songs get older adults singing and dancing as they remember their youth. It's musical therapy, stimulating elders’ minds and their memories. Some tell Daniel and Gabriel they haven't heard the song in over fifty years, and yet they still remember all the words. They always ask the musicians to return soon, and their caretakers report that even after the performance the elders are more energized and joyful than usual. The young musicians have visited over 50 centers with over 60 performances! With Silver Tunes for Golden Memories, the Vasquez brothers often invite guest musicians to join them on stage. Some concerts also include hands-on activities with older adults. This program recruits, trains and coordinates undergraduate students to facilitate creative storytelling sessions with elders with cognitive disabilities in care communities affiliated with the Creative Trusts in Milwaukee. Students commit to a semester of storytelling, but commonly continue for the full year. At year’s end, the stories are shared publicly to inspire others to use creative engagement to nurture relationships with people with cognitive disabilities. TimeSlips is used in service learning around the country, but the Creative Trusts offers a stable, shared governance of the program that is a national model for collaboration in this important area of need. Learn about our other 2015 Programs of Distinction designees! The Intergenerational School (TIS) is a successful community public school located in Cleveland, Ohio. In this elementary school adults of all ages participate as co-learners in supporting life-long learning and spirited citizenship. The recipient of many local, national and international awards the model is now being replicated in Cleveland (Near West and Lakeshore Intergenerational Schools) and elsewhere. Studies demonstrate the value of the model for both children and elders, including those with cognitive challenges like dementia. The school has developed innovative programs in literacy, environment, health, information technology, and the arts. The school fosters collective wisdom in service of a sustainable future. This week’s cool idea is Awakening Minds Art (AMA)’s Intergenerational Painting Programs, which gives participants across the lifespan the opportunity to come together through art. Awakening Minds Art in Findlay, Ohio, originally was a part of the nationwide organization called Art Without Boundaries. In 2010, AMA broke away from Art Without Boundaries and began as a traveling program working only in student's homes, schools and nursing homes. Through their Intergenerational Painting Programs, AMA pairs children with older adults who interact during the group painting class. Programs are held at nursing homes and senior centers in Hancock County and Allen County. Facilities are responsible for scheduling the class for their residents/ members, while the children/ students are responsible for registering via the AMA Studio or website. Presbyterian Senior Services has been a pioneering leader of kinship services since the early 1990’s when it held support groups at its senior centers for grandparents raising grandchildren. Its innovative PSS/WSF Grandparent Family Apartments, one of the first residences for kinship families, opened in 2005. 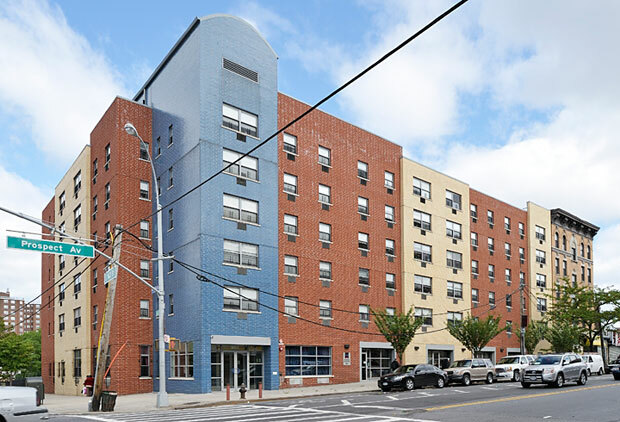 With the Grandparent Family Apartments as its hub, PSS now provides kinship caregiver services in three boroughs of NYC. Their success is because PSS has programs that support both the grandparents and the grandchildren: from “Parenting a Second Time Around” training for grandparents to the Young Adult Success Program (YASP) for kinship youth. Opening Minds through Art (OMA) is an intergenerational art program for people with dementia. It is grounded in person-centered ethics and founded on the fact that people with dementia are capable of expressing themselves creatively. There is a growing body of empirical evidence that creative expression improves their physical and psychological well-being. The mission of OMA is to build bridges across age and cognitive barriers through art. The program is implemented in group sessions: Up to 12 people with dementia with the assistance of 12 trained volunteers working on a one-to-one basis. The art-making sessions culminate in a gallery exhibition celebrating the artists’ accomplishments while educating the public about the creative capacities of people with dementia. and Social Work, which provides legal and social services. EDITOR'S NOTE: Advocate of Distinction is a feature in our Seniors4Kids Monthly e-Alerts, honoring a #FearlessElder advocating on behalf of children and families. You can see past Advocates of Distinction by visiting our e-Alerts archive. Our July Advocate of Distinction, Adrian Mary Charniak, partnered with the Vision and Mission of Trinity Community Church, UCC in Berwyn, Illinois to create a new ministry - Gift of Hope, Grandparents and Others Raising America’s Children. Since creation in 2009, Gift of Hope has been active on state (see: Adrian's Help List for Illinois grandparents and other elders raising children) and national levels fighting for the rights of grandparents raising grandchildren. Gift of Hope also provides emotional, physical, and spiritual support needed to face the overwhelming demands of raising grandchildren while striving to break the isolation older adults experience the second time around with raising grandchildren. The Chicago Daily Law Bulletin April 2015 edition featured Adrian and her grandson, Joe, in a story known too well by many grandparents and other relatives – legal, financial, emotional challenges at extreme levels – who must step up. Adrian and her husband, Ron, won the battle for their grandson, Joey, and enlarged their mission to help others. Adrian’s service extends beyond Gift of Hope to the National Committee of Grandparents for Children’s Rights as a Board Member for the State of Illinois; the Illinois Taskforce for Grandparent’s Rights; the Grandparents Empowerment Group at Rush Hospital, Oak Park, Illinois and Rush Medical Center, Chicago, Illinois as Support Group Leader; the Help Desk with the Cook County Guardianship Assistance Desk For Minors in the State of Illinois. Adrian has received many awards and accolades including the top volunteer service award from President Barack Obama. Subscribe to our free monthly Seniors4Kids e-Alert. Big Brothers Big Sisters of Rock, Walworth and Jefferson Counties, Inc. This week’s cool idea is Big Brothers Big Sisters of Rock, Walworth and Jefferson Counties, Inc., which matches youth between the ages of 6 and 14 with Seniors living in an Independent Living Senior Community. The youth and older adults meet once a week for a couple of hours each to share experiences and learn new things. This program is part of the overall youth mentoring programs of Big Brothers Big Sisters and helps multiple generations with the match. Statistics show that children spending a year in the program show stronger positive decision making skills, strong resistance to the use of drugs and alcohol, more respect for peers and those in authority, better grades and are more likely to take part in extracurricular activities. At the same time, the senior population is seeing strong positive effects. They report being more active and involved, building a sense of worth and their overall outlook is strong and positive. Through such programs we hope to work together to build strength in our communities while we share our time and talents to help others. The Elder Service Partner Program is an intergenerational service-learning experience for students enrolled in GERO 232 Sociology of Aging at Messiah College, a private college in Pennsylvania. Students are paired with an Elder Service Partner (ESP) in completing two types of service. First, students join their ESP in fulfilling obligations their ESPs have already made to their communities at food pantries, service organizations, etc. Second, students also conduct interviews with their ESPs in order to create a chapter of a life story, which is presented to their ESPs at our celebratory reception at the end of the semester. Bridge Meadows is an intentional intergenerational housing community in North Portland. Serving foster youth, adoptive parents, and low­‐income elders, Bridge Meadows cultivates permanence and family resilience through integrated onsite support services and therapeutic interventions. Children move from the instability of foster care placements to permanent homes and families. Adoptive families receive essential guidance and social support. Low‐income elders combat the deleterious health effects of social isolation by volunteering 100 hours/quarter in the community. Together, our three generations of residents transform individual vulnerability into collective strength, creating a whole that is greater than the sum of its parts.